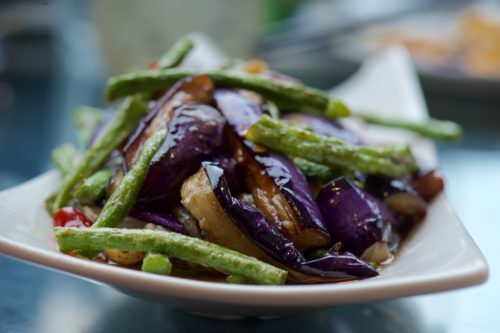 The menu is extensive and filled with glossy photographs which leaves you in quite a tizzy on what to order. 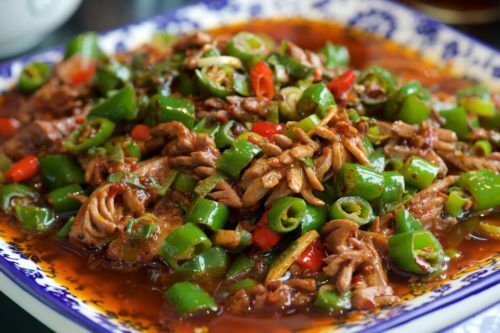 There are a few “signature” dishes on the menu that are driven towards flamboyant presentation. 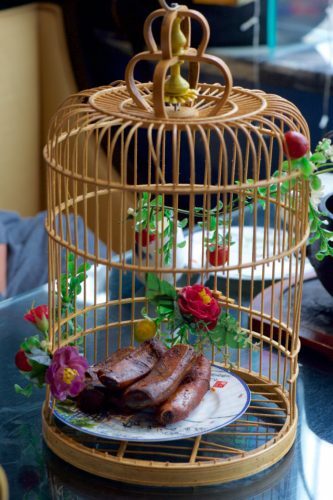 One such dish is the “Tibetan Style Pork Ribs” – presented in a bamboo bird cage adorned with plastic flowers. 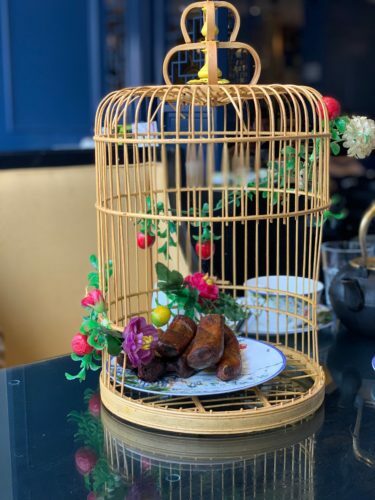 This one really had us scratching our heads as the “ribs” are actually sausages and we couldn’t fathom the connection with the bird cage. Skip it – they were not tasty. 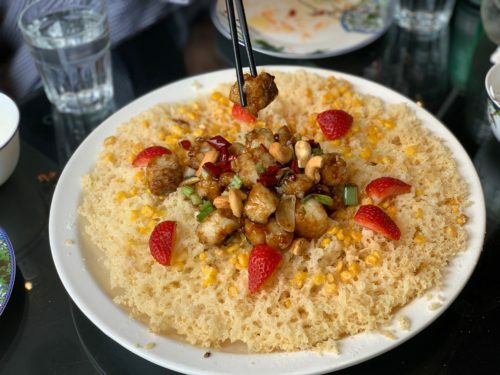 However, if one looks past the gimmicky nature of the menu, there are some dishes there that showcase culinary talent and innovation. 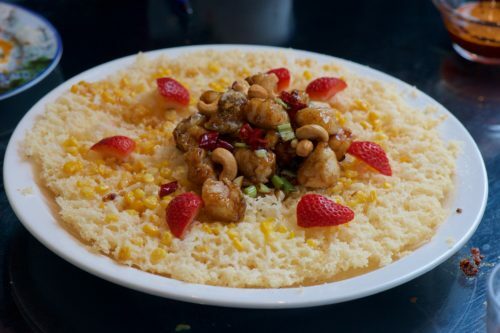 The “Honeycomb Osmanthus Ball” was strangely addictive with its cornucopia of flavors. 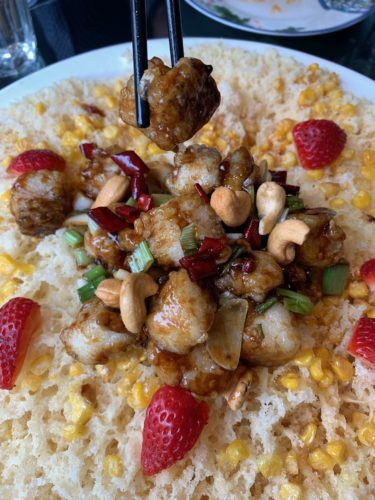 The next time I order it I would insist on there being much more fish which crowned the “seafood honeycomb”. 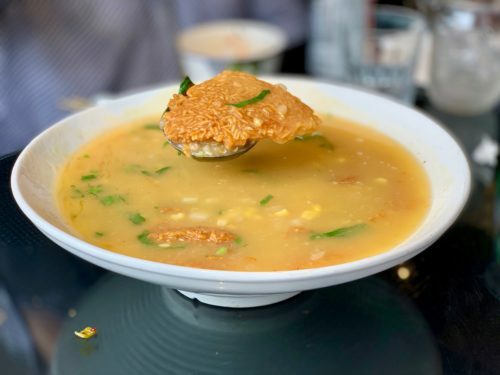 The seafood crispy rice soup was again a surprising combination of flavors – a rich broth topped with a dome of crispy rice. 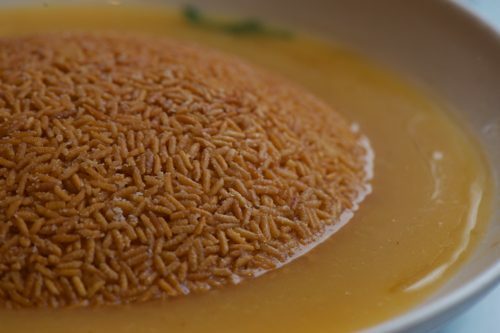 Everything about this dish spelled comfort, the only thing that was strangely missing from this soup was the seafood. 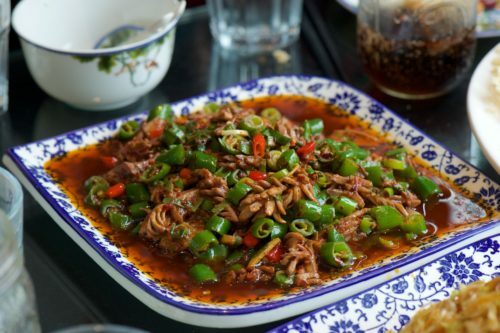 The “Sautéed Kidney with Spicy Sauce” was perfectly executed and was possibly one of the best dishes of our meal. 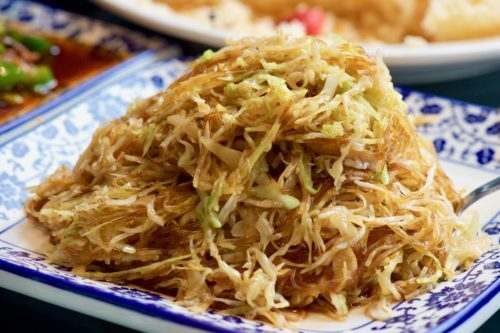 The “Stir Fried Cabbage with Bean Vermicelli” was another simple yet really homestyle dish that we thought was outstanding. 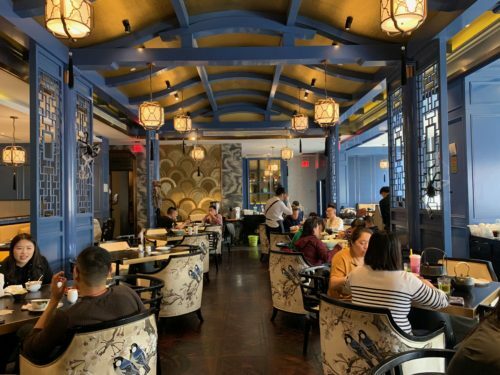 At DaXi, one is better off ordering the more unassuming dishes – as that is really where their strength lies. 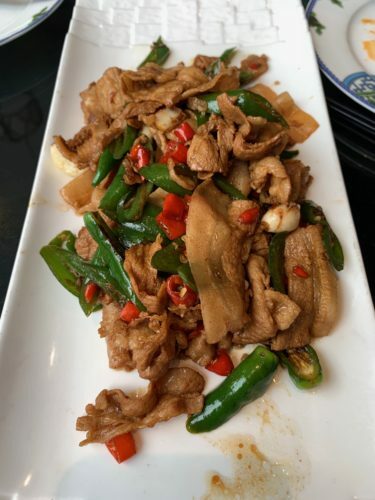 This entry was posted in ASIAN, CHINESE, CUISINES and tagged DaXi Sichuan, Flushing, NYC. Bookmark the permalink.